Learn how to classify and define the changes in a person caused by the effects of dementia. Developed by Teepa Snow, this philosophy is based on existing cognitive models but focuses more on abilities instead of losses, allowing each individual living with dementia to truly shine with the right type of care! 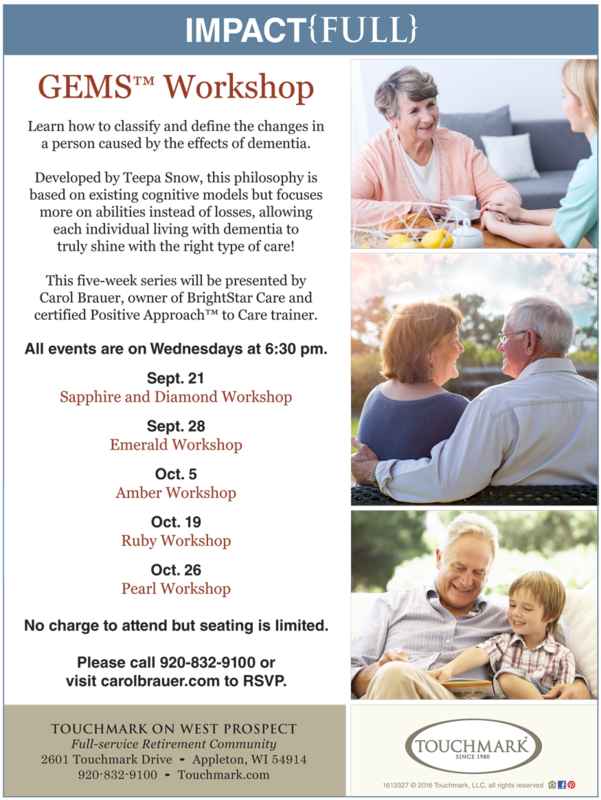 This five-week series will be presented by Carol Brauer, owner of BrightStar Care and certified Positive Approach™ to Care trainer.